Marty’s photo of the day #2526: It’s artsy photo day. 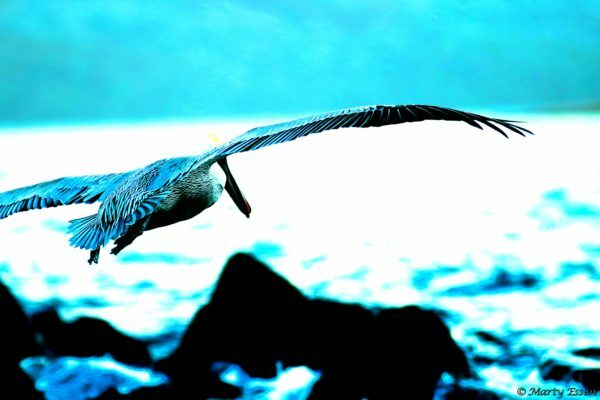 This is a brown pelican that I photographed over the Sea of Cortez. The bird was in focus, but the sun washed out much of the scene. So I darkened the photo and increased the vibrancy while boosting the blues that were already there. Because different species are sensitive to different color spectrums, perhaps some animal would actually see the scene this way without computerized help. brown pelican, color spectrum, Sea of Cortez.